Half of the season 2016 is officially done. We have experienced five, great race. Four, hopefully just as enthusiastic and successful, we have yet to come! 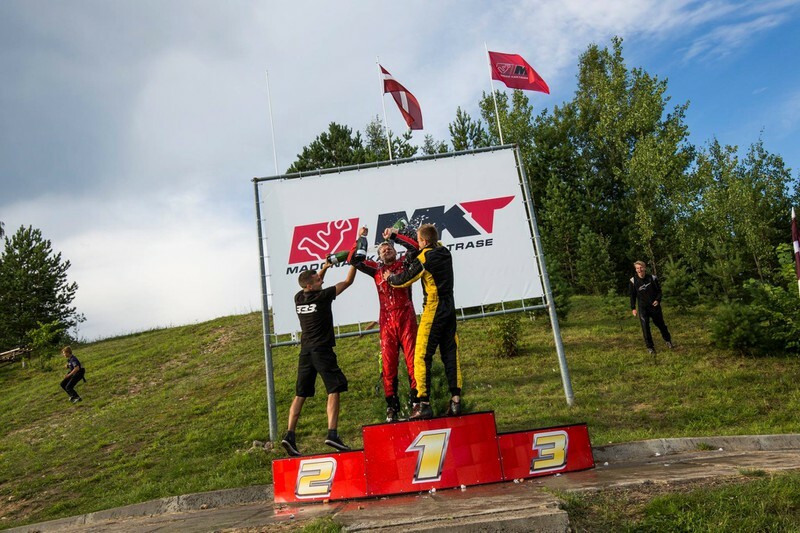 Saturday was relatively fast and exciting, as was held in one place 3 seperate stages of the season – 4th Pro-Kart, 3rd Latvian Championship and 3rd Latvian Rotax Challenge Cup stage. Given the fact that this season left only four steps, then now is the right time to look at the standings tables and draw the first conclusions on the outcome of the season and the distribution of riders on the podium. Overall, the race started today 157 participants from 7 countries - Latvia, Lithuania, Estonia, Russia, Norway, Ukraine and Belarus. * Riders - Adrians Lasis, Agris Erods, Ernests Riekstiņš and Edgars Bricis withdrew from the race. * Dainis Teilāns withdrew from the race. * Matvejs Makušins withdrew from the race. * Dainis Dreimanis disqualified as inadequate due to the weight. * Eduards Daņiļevičs withdrew from the race. After almost a month in the end of summer - 27.08 we will see you again here in Madona, where will take place 4th Latvian Championship stage and 5th of the Pro-Kart stage. Sincerely welcome all riders, who today won prizes, as well as any other for participation and the immortal fight until the last meters of the track. We wish you all success in the coming races!